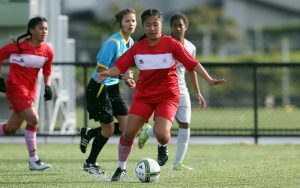 Tonga could not add three points on to the points table as New Caledonia won 3 – 1 on Match Day 4 of the OFC U-19 Women’s Championship. 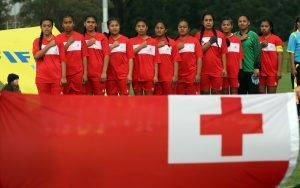 Despite the harsh Auckland weather, Tonga appeared to be well organised in the first five minutes of the game. They responded positively when the New Caledonians pushed forward for any opportunity to score but eventually after 10 minutes of pressure NCL were able to put up their first goal onto the scoreboard. NCL extended their lead just a minute after their first goal, taking them to 2-0. A NCL free-kick at one end lead to a break down the other end, and winger Marie Laure PALENE got through with another goal for NCL taking their lead to 3-0. 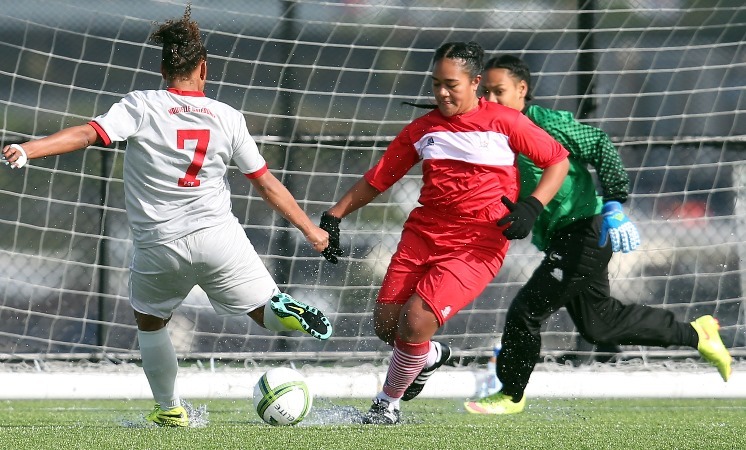 Queen Salote College forward Mele KAFA scored the only goal for Tonga after 28 minutes following an excellent cross from Seini LUTU, one of the match’s dominant player. Lutu broke few through the defence several times but her team mates missed their chances to finish. Her best chance came with a minute remaining, but Karine XOZAME , New Caledonia’s goal keeper put up her different style of saving to avoid more goals from the Tongans. Tonga might have a greater pedigree but they were outplayed by a more vigorous and effervescent New Caledonia side. Christian KOANETI, coach for Tonga expressed his disappointment with the result and how his team have few chances in the second half but they did not quiet finished their job well. ‘’I am a bit disappointed with the result, and the way the game turned out today, we had a few chances in the second half to finish up, but we didn’t quite finish the job,’’ Koaneti says. 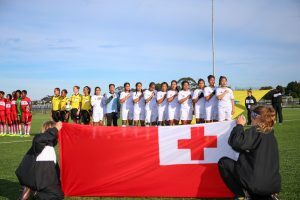 Now Tonga will prepare for their final appearance in this tournament as they will face the mighty New Zealand in the Match Day 5 before they head back to the Friendly Islands. ‘’Of course NZ is a pretty tough team but we will work primarily on our defense and hopefully we will cut down the score line come from Monday’s game, ‘’ Koaneti said. Tonga is now completely out of the running for France next year, as they are sitting at the bottom of the table points.